I was 13 years old when I first came across Robert Kiyosaki. 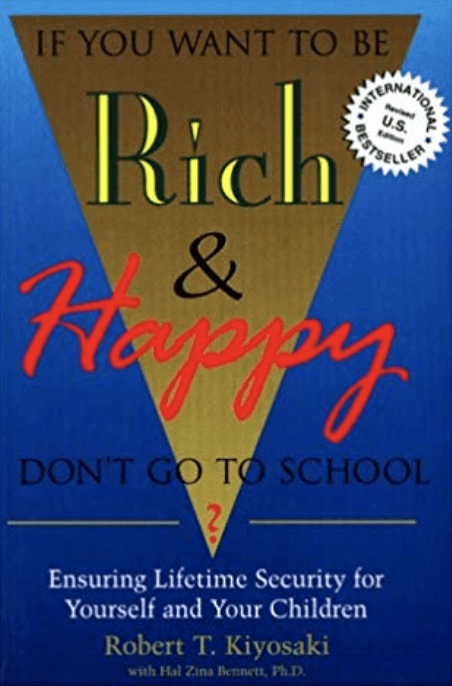 It was through his book, If You Want to be Rich and Happy Don’t Go to School, where I began my journey to true financial freedom. As a kid who just came out of the 8th grade, I really liked that title; it sounded like a great idea, and it became the very first book I ever read from cover to cover. Later, at age 15, I remember reading Rich Dad Poor Dad, and shortly after, Cash Flow Quadrant. Something inside of me always rejected the conventional script for life, but prior to Robert Kiyosaki, I had no way of seeing a clear alternative. It was through his books that I first learned about passive income as opposed to working to get paid. He also helped guide my thinking when it comes to the long, drawn-out retirement plan. Instead of a 40-year plan after high school, Kiyosaki was encouraging readers to become financially independent. I am a product of Kiyosaki’s teachings, and though I don’t agree with him on everything, I have him to truly thank for helping me clear my head of all the junk and clutter coming from the mainstream financial script. Mr. Kiyosaki has challenged and changed the way tens of millions of people around the world think about money. He is an entrepreneur, educator, and investor who believes that each of us have the power to makes changes in our lives, take control of our financial future, and live the rich life we deserve. 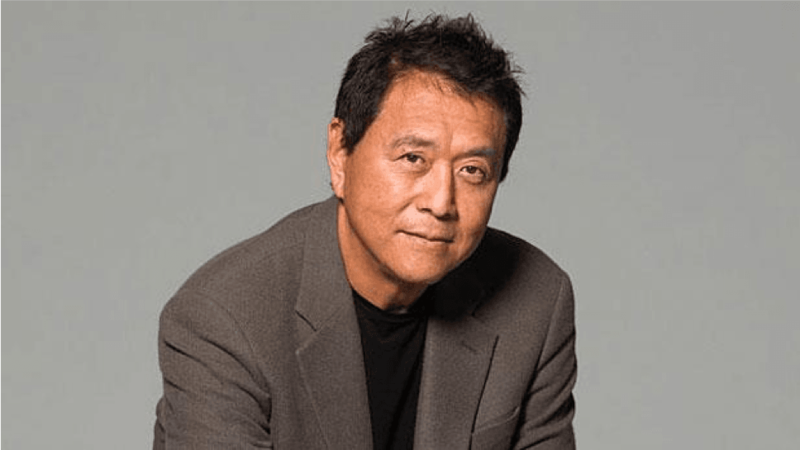 I had a compelling conversation with the legendary Robert Kiyosaki, who is best known as the author of Rich Dad Poor Dad, the number one personal finance book of all time. I was able to speak with him about some of the things I’ve become very passionate about, like retirement and whether or not it’s still a relevant concept in America or can we officially call it a failed experiment. According to Robert Kiyosaki, the retirement myth is one of the biggest con jobs ever. With the advent of Social Security, according to Robert Kiyosaki, people felt that they wouldn’t have to worry. But that was then, and this is now. Just recently, the IMF (International Monetary Fund) warned us that state and local pensions are the biggest threat to us today. Furthermore, the PBGC (Pension Benefit Guaranty Corporation), which is like the FDIC for pensions, is bankrupt, according to Robert Kiyosaki. So if the next pensions collapse, the PBGC can’t bail you out. Everywhere you look, it’s a major issue across the nation. CalPERS (the California Public Employees’ Retirement System) is $1 trillion underwater, according to Robert Kiyosaki, and they can’t pay the state’s retirees. Illinois is even worse – an utterly bankrupt state – and if you want to look internationally, you’ll see that countries like Spain and Switzerland have a severe paucity of retirement funding. What does this mean for Americans? For baby boomers, retirement is a diminishing dream, and for millennials, it’s virtually hopeless. The millennials have it the toughest of all, according to Robert Kiyosaki, because they’re going to inherit all of their parents’ problems, which are already substantial. One of the biggest burdens facing millennials is America’s massive and growing debt left to them by previous generations, according to Robert Kiyosaki. Sadly, the younger generations have been robbed of the American Dream of a secure retirement – they will have to fend for themselves in our debt-riddled regime. It’s been an honor and a pleasure to speak with Mr. Robert Kiyosaki, and we know you’ll enjoy Future Money Trends’ riveting conversation with world-famous author of Rich Dad Poor Dad. Don’t hesitate to get a copy of his best-selling book, and be sure to visit Robert’s Website, RichDad.com. Have a very prosperous day!